Mark Evan Culpepper, Male, born __ 1959 in Tarrant Co., Texas, child of Evan Alexander Culpepper and Rebecca Lucille Ivey. Justin Evan Culpepper, Male, born __ 1982 in Dallas Co., Texas, child of Mark Evan Culpepper and Cheryl Diane Snodgrass. Heather Leann Culpepper, Female, born __ 1984 in Collin Co., Texas, child of Mark Evan Culpepper and Diane Cheryl Snodgrass. Cynthia Kay Culpepper, Female, born __ 1961 in Tarrant Co., Texas, child of Evan Alexander Culpepper and Rebecca Lucille Ivey. Jane Suzanne Culpepper, Female, born __ 1967 in Tarrant Co., Texas, child of Evan Alexander Culpepper and Rebecca Lucille Ivey. Frederick Culpepper, Son, M, Jun-1894, 5, S, TX TX TX. Julia Tabitha Culpepper Lewis, 1883 – 1933. Will Book C, p. 14. Biography* � In 1809, having now moved from Burke County to Laurens, Josiah Warren, and his wife both died, leaving several minor children. Charles Culpepper was appointed their guardian and took then to his own home near Irwinton. Having no children of his own, he lavished upon them a father's love, giving them every advantage of an education. Best of all he seems to have transmitted to these orphans that divine spark which animated his whole being. And whether in the ministry, in the laity; whether as lawyers, on the Bench, or as State House officials, these orphans and their descendants have ever since borne the mantle of Charles Culpepper. Though near ninety years have passed since his death, they still revere his memory; his influence still lives. My search for Ichabod Scarborough's ancestors has hit an impenetrable wall, but I can give you info on Sarah Warren. Her parents were Josiah Warren, b. Feb. 2, 1759, probably in Northampton Co., NC, d. 1809 in Laurens County, GA, and Nancy Doty, born May 15, 1763, probably in Piscataway, NJ d. 1809 in Laurens Co., GA.
Josiah Warren and Nancy Doty were married in Onslow County, NC in 1780. Marriage bonds were signed by Josiah's father Hinche Warren and Nancy's father Benejah Doty. Josiah and Nancy had thirteen children: Sarah, Hinchy, Benejah, Nancy, Richard, Silas, Josiah Robert, Charles, Rachel, Kitrell, Lott, Eli, and Mary. Josiah was the son of Hinche Warren and Rachel Anderson, d/o Carolus Anderson of Northampton Co., NC. Hinche Warren was the son of Robert Warren of Northampton Co., NC. Benejah Doty was b. in Piscataway, NJ in 1723, son of James Doty and Phebe Slater. Benejah was married first to Nancy Doty's mother, name unknown. He married second to Elizabeth Chatwin, d/o Joseph Chatwin. Benejah Doty's will, written in Onslow Co., NC, dated Oct. 22, 1780 and "copied Apr. 11, 1781" so he must have died shortly before Apr. 11, 1781. James Doty, b. Sep. 17, 1686 in Piscataway, NJ, Middlesex Co. married Phebe Slater on Sept. 16, 1712 in Piscataway. She was born July 28, 1692. They had 6 children, of whom Benejah was the youngest. James was the son of Samuel Doty and Sarah Jane Harmon. Samuel Doty was b. 1643 in Plymouth, Mass. and d. Sept. 18, 1715 in Piscataway, NJ. He married Sarah Jane Harmon Nov. 15, 1678 in Piscataway, NJ. She was born about 1660. They had 13 children. 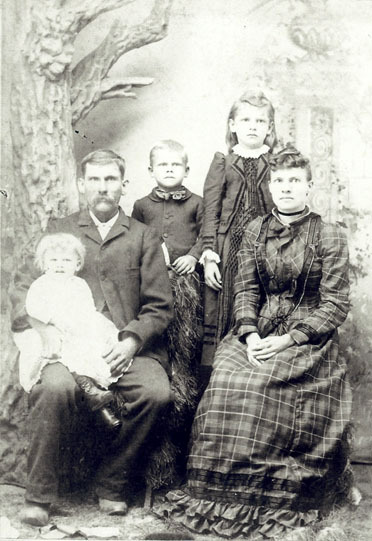 Samuel Doty was the son of Edward Doty and Faith Clarke. Unknown author, Brent Holcomb, Editor, "unknown article title," South Carolina Magazine of Ancestral Research, . "Gertrude Culpepper was born September 19, 1900." Charles H. Culpepper, Head, M, 23, md@19, GA/GA/GA, Printer/News Co.
Grace J. Culpepper, Daughter, F, 2 10/12, Sng, SC/GA/SC. + C. Hoyt Culpepper, 1903 - 1965. "Grace Culpepper was born August 1906 A.D."
Jack Milam died 25 Nov 1964 at 62 years in Fulton Co., GA; Res. in Fulton Co., GA.
Charles J. Culpepper, d. 5 Mar 1966 at 88 years in Fulton Co., GA; Res. in Fulton Co., GA, 006362. Ida G. Milam died 24 Aug 1984 at 78 years in Fulton Co., GA; Res. in DeKalb Co., GA.
"Gladace Culpepper was born August 1908 A.D."
Mitchell County Court of the Ordinary, Mitchell Co., GA Marriages, 1861 – 1960, Salt Lake City, UT: Genealogical Society of Utah, 1967 Repository: LDS Family History Library - Salt Lake City, Call # Films # 522,772 - 522,780. Mary Arminta Culpepper and Monterey Campbell Jr. on 31 Dec 1929 in Mitchell Co., GA, Book 1928-1940, p 69. Monterey Campbell Jr. died 1949 in Polk Co., FL, Certificate 19135. Robert E. L. Culpepper, d. 6 Oct 1964 at 88 years in Mitchell Co., GA; Res. in Mitchell Co., GA, # 030376. Arminta C. Campbell, 24 Aug 1907 - 13 Mar 1989 in Polk Co., FL, Certificate 34304. Hon. Robert Edward Lee Culpepper Jr.
Mitchell County Court of the Ordinary, Mitchell Co., GA Marriages, 1861 – 1960, Salt Lake City, UT: Genealogical Society of Utah, 1967 Repository: LDS Family History Library - Salt Lake City, Call # Films # 522,772 - 522,780. R. E. Culpepper Jr. and Emily Lewis on 20 Dec 1934 in Mitchell Co., GA, Book 1928-1940, p 279. Robert E. Culpepper, d. 29 Nov 1988 at 79 years in Mitchell Co., GA; Res. in Mitchell Co., GA.
+ Infant Daughter of Robert & Emaly Culpepper, 15 May 1942. Find A Grave Memorial# 16193711.